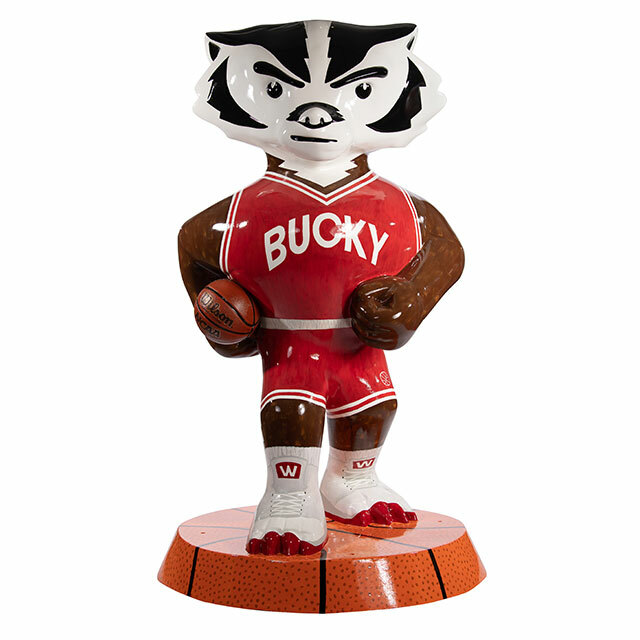 Bucky is suited up, with a basketball under his arm, and is ready to take the court! 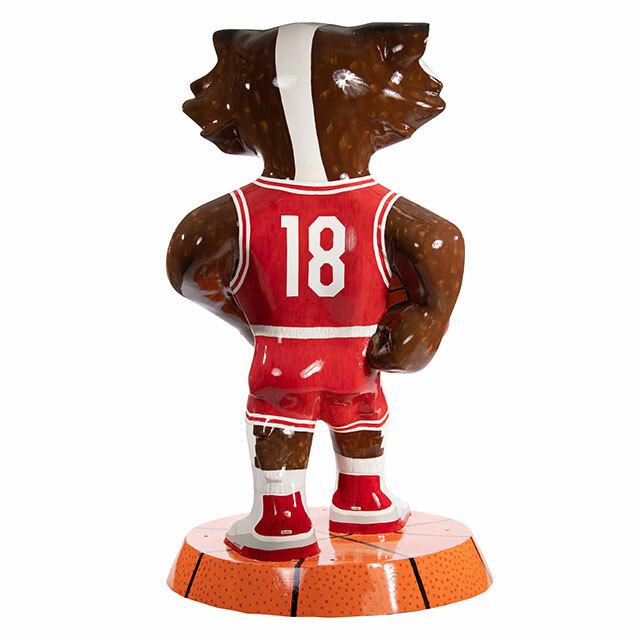 This statue’s base is made to look like a basketball. I believe creating art is a reflection of an artist’s life. I love sharing what I see in this world, interpreting that in my own way and sharing that vision with others. I tend to gravitate towards patterns, designs and bright, bold colors, thus my art is often characterized by these influences. As a professional graphic designer, my eyes find design everywhere. I appreciate fine art and commercial art, see the value, necessity and influence of both, and love that I can be involved in both art worlds. I also love traveling and some of my artwork reflects scenes or moments I have experienced on my travels.